I have recently discovered the GTD philosophy (Getting Things Done). It has helped me live a stress-free life and increase my productivity. It really do works! You will learn more about GTD at http://pespmc1.vub.ac.be/Papers/GTD-cognition.pdf and http://en.wikipedia.org/wiki/Getting_Things_Done. 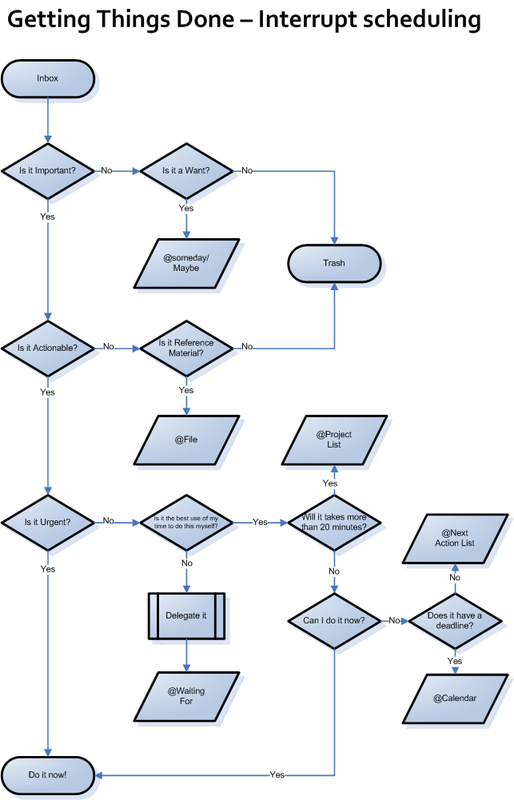 I have my own flow chart to process incoming request and information. 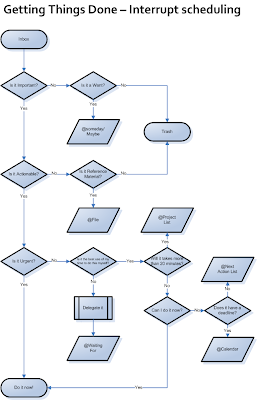 It is based on the one suggested by GTD but with a few added tweak. I though I'd share it with you.